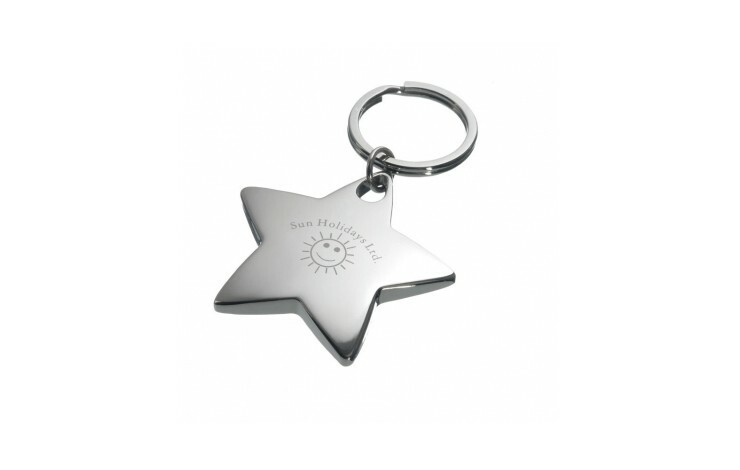 Keep your keys together with our classy, personalised Star Key Ring. Made from metal and finished in either a shiny or matt nickel plated finish. 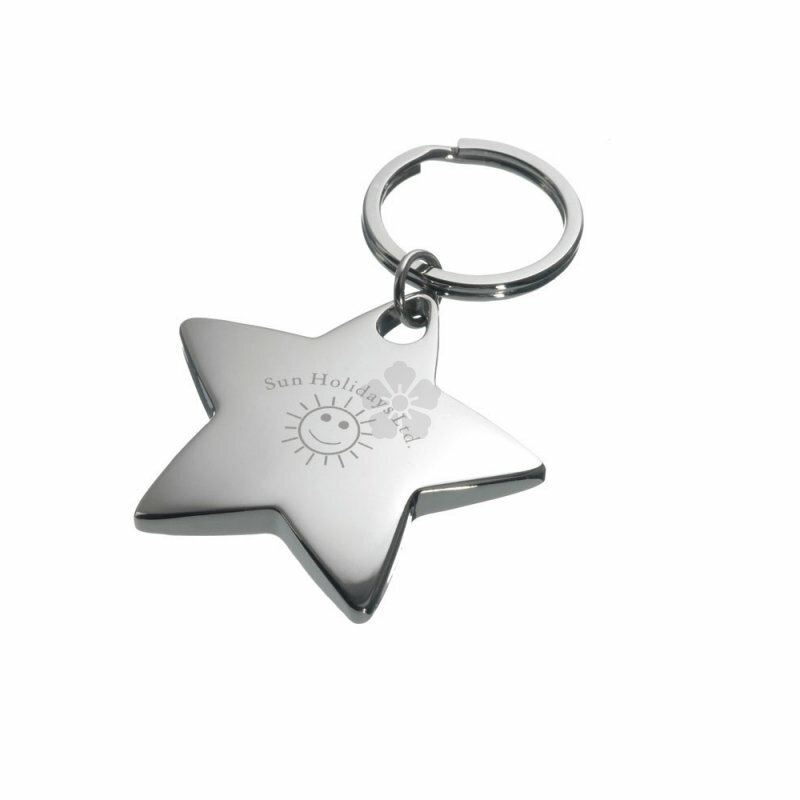 Your design is laser engraved to the top side, giving premium permanent branding. Supplied in individual, simple black card boxes. Shiny or matt nickel plated finish. High quality laser engraved branding.